For the busy controller managing Terminal Control Areas in bad weather, or ATC at a busy class D on a CAVOK weekend. For the airline pilot flying multi-engine IFR. For the inexperienced PPL flying in and out of controlled airspace, or arriving at an unfamiliar aerodrome. Despite optimum management of workload, unexpected things can happen and this is when attention, concentration, judgement and good communications are most needed. The effects of fatigue seem somehow obvious when they are listed. Evidence shows that people affected by fatigue considerably underestimate the effect on their performance. Skills deteriorate much later because these are by their nature automatic compared with knowledge-based performance. Pilot training and experience both help to shift rule-based skills to the automatic (skill based) end of human performance. Stage 2: Entering proper sleep here with no eye movements – some rapid brainwaves. Stage 3: Entering deeper sleep with some very slow waves called delta waves. Stage 4: Deep sleep characterised by almost continuous Brain Delta Waves. REM: The well-known Rapid Eye Movement Sleep where the eyes flick quickly from side to side and dreaming occurs. Do only relaxing things in the bedroom – but no TV or going on the internet. Light reading is ideal. 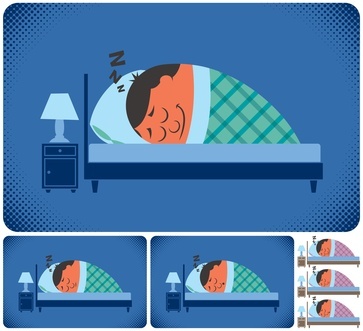 Someone having difficulty sleeping should not over-think how they might feel the next day. Thoughts such as “I won’t cope with work tomorrow” are called catastrophizing thoughts and are unhelpful. The logical thought would be something like: I am not at work now, or these thoughts are for tomorrow, or I have coped previously, or I will go off to sleep when I need to – these cathartic thoughts are also actually true! This re-thinking is the core of Cognitive Behavioural Therapy (CBT). Also, people tend to underestimate how much time they have actually been asleep. Yes, there may be a fatigue issue but guessing how you will be in the daytime is just wasting energy anyhow – that’s a daytime activity! A thorough and independent Drug & Therapeutics Bulletin review (UK) eviewed all the sleeping tablets in detail. On average, the sleeping tablets in randomised trials gave around an extra 45-60 minutes sleep – they are not anything like as effective as people think though of course anything helps. 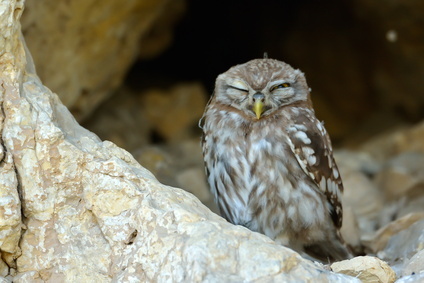 It surprises most people to hear this – maybe an extra hour’s sleep. That’s what the evidence shows. Of course there are very important risks of tolerance and dependency. It’s the tolerance of sleeping tablets that people are less aware of of – the phenomenon that the sleeping tablet is required to get a good night’s sleep because the brain has adapted to needing the tablet for regular use. In other words, the tablet seems to give a lot more than an hour’s extra sleep simply because the person going without it experiences withdrawal symptoms – The resulting Insomnia on stopping the sleeper is worse than the original insomnia. This is a very common issue – huge numbers of people are dependent on sleeping tablets to get to sleep – not because they are working but because of the insomnia (caused by withdrawal) when the drug is discontinued. 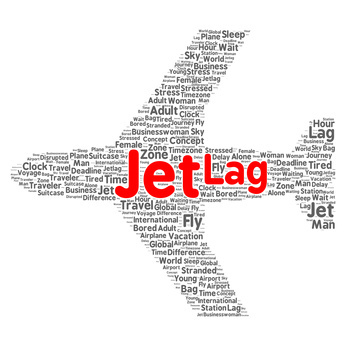 Commercial Pilots & Controllers’ rosters are usually operated within FRMS (Fatigue Risk Management System). 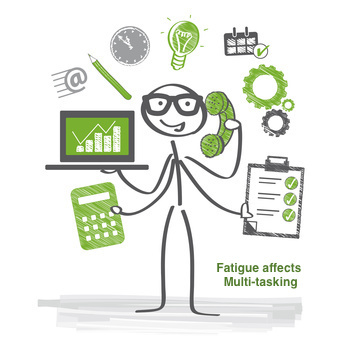 FRMS are models of fatigue that take into account the time on duty and the time off duty. FAID is a well known FRMS and the software scores each person on their risk of fatigue based on different roster scenarios. FRMS is a fact of life for many commercial pilots & ACT, and at least avoids obvious over-work. FRMS is not without its critics who question issues around individual variation and scientific background. However, FRMS not meant to act as a fatigue management tool in isolation. Clearly, a FAID score over 80 is high, a score of under 40 is low, but the question arises as to what threshold should be used and this is bound to have a subjective element. 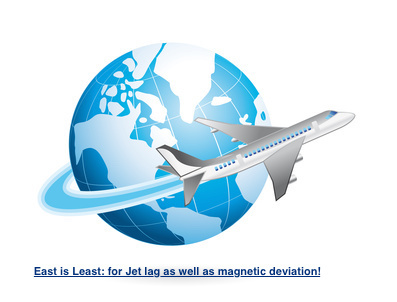 What works for Jet Lag? In a nutshell, no medication “works” as such. Melatonin has its proponents but it’s not recommended for pilots. Temazepam is well-known though not usually for pilots. Professional Pilots will establish their own routine that works for long haul flights. Which Direction of Travel is worse? The Earth rotates towards the East. Therefore, when travelling east, the day is shortened – meaning that the time of usual sleep at the point of departure is now effectively earlier. This phase advance is more problematic than phase delay. The equivalent non jet-lagged scenario is this: Most people would find it much easier to sleep at 4am (ditto travelling west) than 4pm in the afternoon (ditto travelling East).